Joy Stone is certified in both Applied Positive Psychology (CIPP) and Positive Psychology Coaching. She received her education under Harvard Professor, Tal Ben-Shahar, Kripalu Institute and Wholebeing Institute. Joy is also a certified Yoga Teacher under the anusara style. 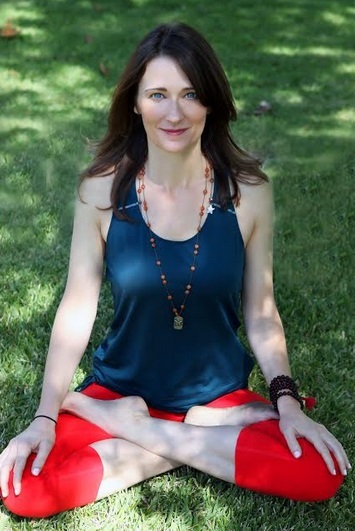 As well, she holds certifications in yoga philosophy, yoga psychology and mindfulness. Help people see different perspectives and shift limiting beliefs. I think that is because for years I suffered from some pretty disempowering narratives myself. We all want to be happy. I teach that happiness is a daily practice of conscious choices. Most importantly that practice includes the inner dialogue we have with ourselves, and how we relate to the world around us. From my perspective, taking control of our lives means taking resposibity for what we think and how we feel; because that more than anything drives our actions which creates our lives. Empathize. Because I know what if feels like to believe you have tried everything to be happy and still feel stuck and unfulfilled. I can share my story to help others like no one else because it is my story. We each have something special to contribute to the world. But I believe we have to really claim it to share it. Owning all of my story (ups and downs) has made me much more useful toward empathizing and helping others grow and contribute in their lives as only they can. • To launch an online course (it is in the works now!). • To study and read more books. • To grow my life coaching practice and help more people. • Connect with dear friends. • Spend as much time as possible with my husband and son. Waking up on May 27, 1996 and asking for help. I was at a bottom emotionally, physically and spiritually. I knew in that moment I couldn’t make the changes I needed to make on my own. I reached out and life has never been the same. I strongly believe that our lives are fundamentally shaped by the choices we make. Therefore, I wholeheartedly believe we can change our future by living courageously and consciously in the here and now. I have experienced it through my own life story. I have had many challenging moments. Over time, with support, and by taking responsibility for my own happiness and well-being, those moments have now become the greatest teachers in my life. I grew up in a lot of chaos and instability. Because of that I blamed my parents and childhood environment for every bad outcome or decision I made in my adult life. I became a perpetual victim… but I didn’t know it and I stayed stuck for a long time. Blame is a choice that doesn’t give you anything back except misery. Learning to see failures, set-backs, disappointments, injustice, confusion and pain as part of the journey vs. punishment or a marker of success is totally liberating. Today I am free and empowered because I know that I have a choice in how I see just about anything. It doesn’t mean I am without challenging moments or that I don’t get stuck from time to time. I mean that I know once I recognize that I am stuck I now have a way out! My husband and my son. They make me laugh every day and most importantly not take myself so seriously. They are the BEST! I love Austraila and Hawaii. I also love exploring road trips and exploring towns and cities within the USA. My family and I just moved to from Los Angeles, CA to Nashville, TN. We took a month off for a long road trip. We explored all sorts of new places and met new faces. It was such a wonderful adventure! I love books. I own more books than I have read and I keep buying new ones! Exploring our new hometown! We go on a mini adventure every weekend. We live between two beautiful lakes and within the county music capital of the world. So much to do and see!